This book connects a lot with John Green's real life. He wrote it with a friend in mind. He and Esther Earl met online, and they became fast friends. When the later met in person Esther revealed that she had thyroid cancer. John Green wrote The Fault In Our Stars as a dedication to Esther. He said before the book came out he said "the person I most want to read it never will". "Some tourists think that Amsterdam is a city of sin, but in truth it is a city of freedom. And in freedom, most people sin." I chose this quote because it is full of truth. When given freedom most people go wild, in a sense. This doesn't apply to all people, of course, but the majority of people do what they want when they are allowed to. I also really like the sentence structure of this quote. The repetition of the words "freedom" and "sin" show that they are both similar concepts. There is really a lot of thoughts that you could dive into with this quote. Hello! I thought that I would introduce myself and interest in books. I really enjoy fantasy, science fiction, horror, historical fiction, and, well anything except for extra gushy romance. Some of the most recent books that I've read are the Mortal Instruments series and The Gentleman's Guide to Vice and Virtue by Mackenzie Lee. Some of my favorite authors are Rainbow Rowell and Rick Riordian. 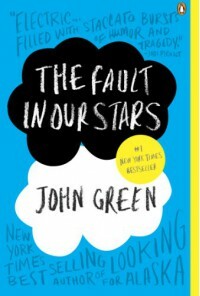 The book that I am currently reading is The Fault in Our Stars by John Green. I'm reading it for a school project. I have already read all of his other books, except for his newest, Turtles All The Way Down. I'm really excited to start blogging!